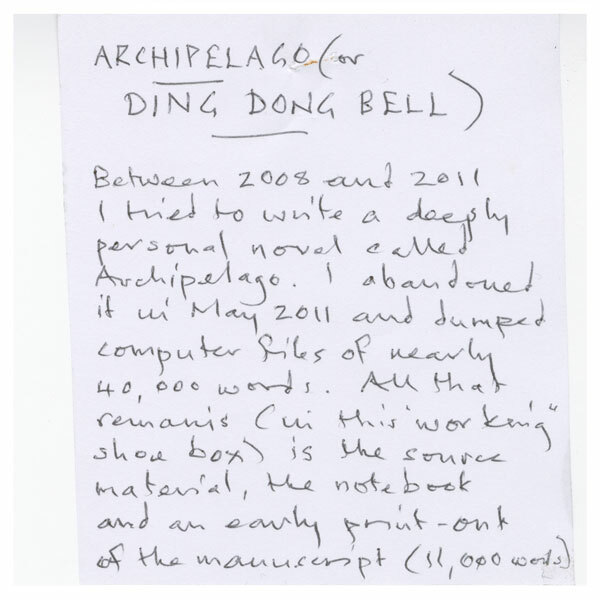 Image: Jim Crace’s handwritten note on the “Archipelago” folder in his archive. 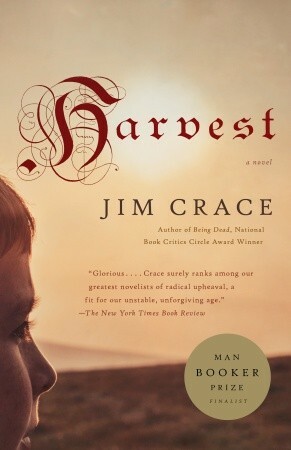 Cover of Jim Crace's novel "Harvest." 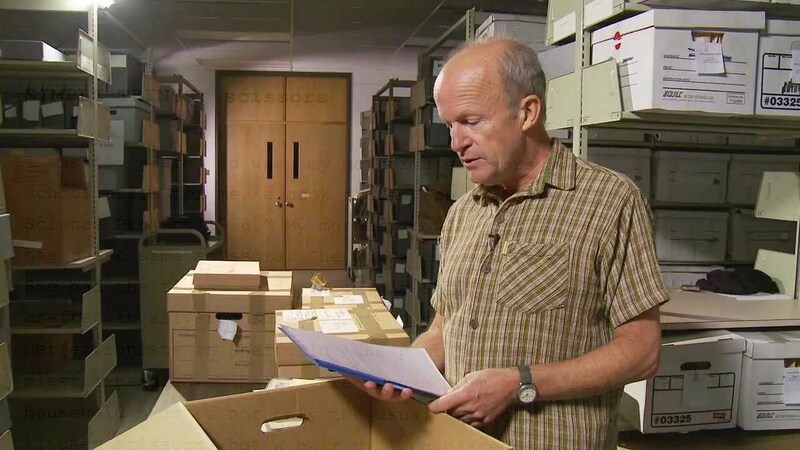 Author Jim Crace, whose archive resides at the Ransom Center, has been shortlisted for the 2013 Man Booker Prize for Fiction for his novel Harvest (Nan A. Talese/Picador). Crace was previously shortlisted for the Booker Prize for his 1997 novel Quarantine. The winner of the Booker will be announced at a ceremony in London on Ocober 15. 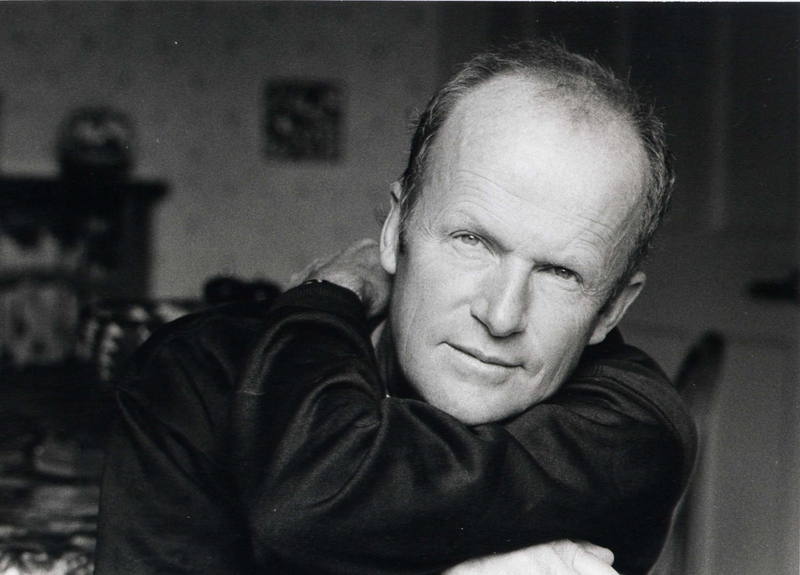 English writer Jim Crace, currently a visiting professor at The University of Texas at Austin Michener Center for Writers, gives a reading tonight at 7:30 p.m. in the Avaya Auditorium, ACE 2.302. Crace’s archive resides at the Ransom Center, and on a previous visit to Austin he spoke with Ransom Center staff about his interests and work. In these two videos, Crace reflects on writing advice he took to heart early in his career and how one of his favorite authors, T. H. White, adopted a life of learning to deal with depression. These videos exemplify Crace’s understanding of the emotional value of the physical and how he uses this connection in his writing. English writer Jim Crace, currently a visiting professor at The University of Texas at Austin Michener Center for Writers, will give a reading this Thursday, December 6, at 7:30 p.m. in the Avaya Auditorium, ACE 2.302. Crace’s archive resides at the Ransom Center, and on a previous visit to Austin he spoke with the Ransom Center about his interests and work. 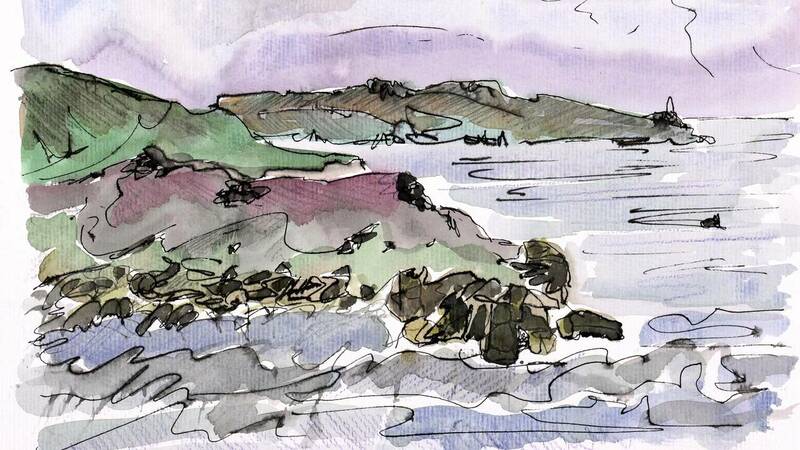 In these two videos, Crace discusses how painting coastal watercolors sparks his imagination, and shares several original drawings of imaginary places. 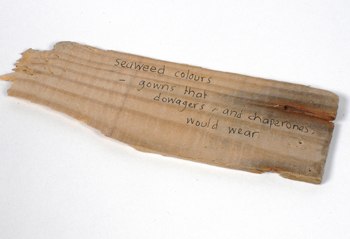 These videos illuminate the inspiration Crace draws from places he created as a child, both real and fictional.